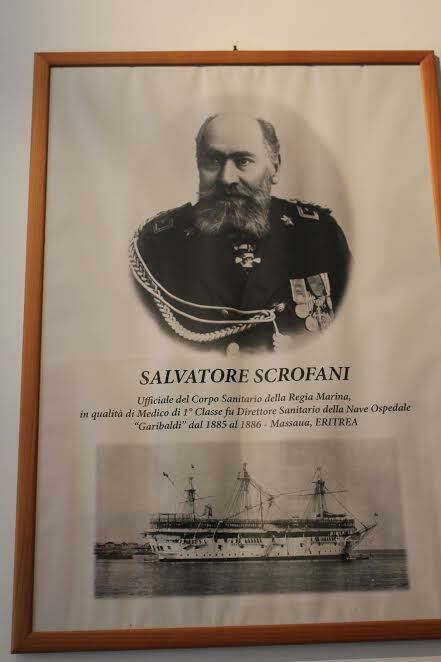 Salvatore Scrofani's memories can be seen at the Museo civico l'Italia in Africa in Via San Giuseppe, 1, in Ragusa. The commemorative gravestone was previously located in Venice , where he died and where he was initially buried. 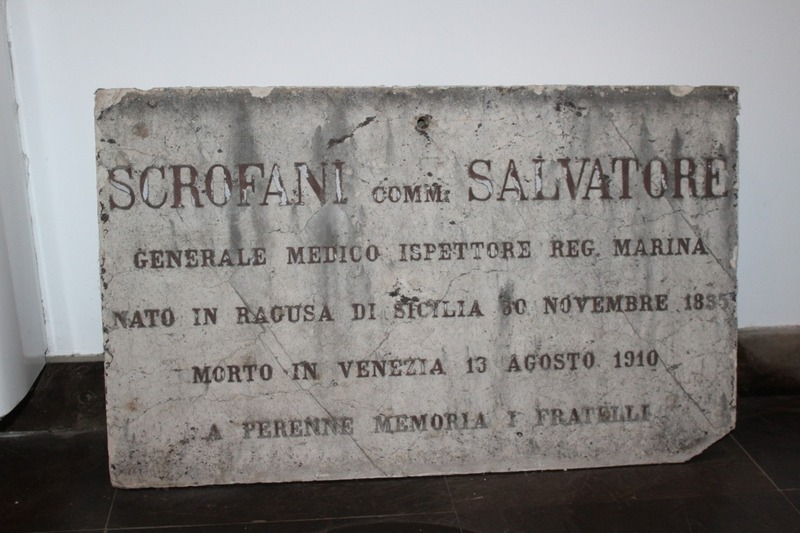 Then, in 2008, his remains where transferred to his birthplace, Ragusa. The poster shows the pictures of Salvatore Scrofani and of the Hospital Ship “Garibaldi”, where he held the role of first class’ Doctor. 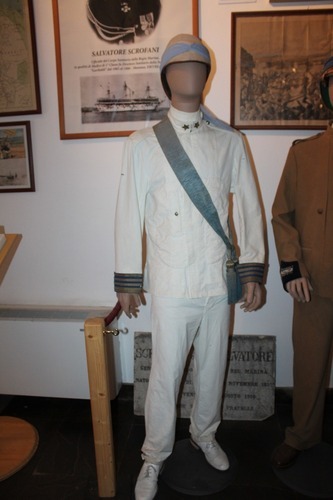 The uniform similar to that worn by Salvatore Scrofani while he was on the Hospital Ship "Garibaldi".